A bit overwhelmed at the 11lbs, 36 large fillets, but very satisfied, would purchase again. Since we don't get a chance to go fishing, we are so glad that we have an abundance of walleye fillets from Walleye Direct. They are delicious and it is so nice to have a supply in our freezer now. So often I checked with our local groceries, and was not successful in being able to purchase walleye. It's not only fresh tasting, but brings back a lot of good memories of the walleye my dad use to catch. We are from North Dakota, grew up eating walleye and now living in the south we only get it when we visit up north. Not any more! I will have some of the best walleye in my freezer from walleyedirect.com. We had some for dinner tonight and it was outstanding! We are very happy with this purchase and will buy it again!! Absolutely fabulous! 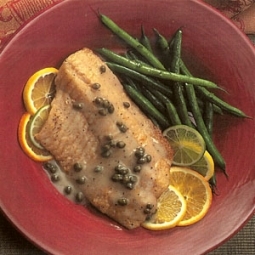 We purchased the skinless fillets and they are the best fish we've ever had! We'll definitely be ordering these again! I had trouble trying to order using a Groupon but the customer service was quick to respond and fix the issue! Purchased walleye and it was delicious and very fresh! Excellent fish just like what I used to catch when I was kid only this comes already cleaned and ready for the fryer. Doesn't get any better or easier than this. Received our 11 lbs of Walleye and had our first meal 2 days after arrival. Very delicious. We will have many meals from this 11 lbs. It's all packed up for separate meals that we will enjoy immensely. Thank you. The walleye tastes great and I had some just tonight! The only reason you are not getting 5 Stars is the large number of bones. I know deboning fish without bones is hard, but you should check and see why some have alot still in them. We had some walleye for the first time since our order arrived and it was delicious. I always rinse my fish very well before cooking and there was no fishy odor at all. We have so many recipes to try can't wait. We lived on a lake in Wisconsin and now in AZ your fish are like we had in Wisconsin can't get the good stuff here. These are just like you caught them. The fish arrived on time frozen rock hard. Since the fillets are all in one package I vacuum sealed four fillets in individual bags. That makes one meal per bag for my family of three. The fillets taste great. We have tried them fried and baked so far. I will be ordering again as soon as I run out. I ordered the walleye and was very pleased with the product. Fresh big slabs! I will be ordering more and we are enjoying the excellent quality of the product we received. I have ordered from other outfits in the past and found your products to be the best. The order got here flawlessly. I was worried that with two-day shipping it might not have stayed frozen, but it was absolutely frozen solid. BEAUTIFUL fillets, I was amazed at how much fish there actually was. I put a two fillets each in a vacuum bag and this will keep me in my favorite fish for a very long time. I'm going to get the Perch next time. This was great. Thanks! I should've counted the number of fillets -- it was a huge amount, I must have 20 vacuum bags with 2 good-sized fillets each in them. It would be amazing if there were a way to get an assorted pack, so 10 pounds but half perch and half walleye, but I'm very happy and will order again soon! I'm going through the Walleye faster than I thought. Excellent fish and even better service! Well got tired of looking at fish at the local supermarket. Saw this as and thought might be worth a try. I have put my name on fish they are out of and will order the walleye again as soon as we need to. Well packed, top quality, this is a 5 star I almost hate to review this as I do not want them to run out. I have been ordering from Walleye Direct for years for a family reunion. 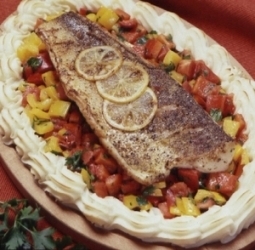 Every July 8 get about 16-22 pounds of boneless skinless frozen fillets . 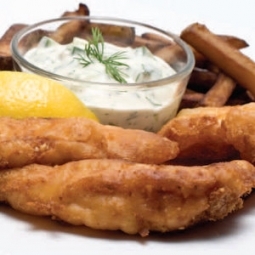 Quality is awesome and it always gets great reviews at the annual fish fry. Great service also. One issue here was an issue with the order but they fixed it immediately. Otherwise , great delivery everytime . I tell everyone about walleye direct! !